A baby carrier can make life easier when taking your little one out to places where a stroller is not friendly. 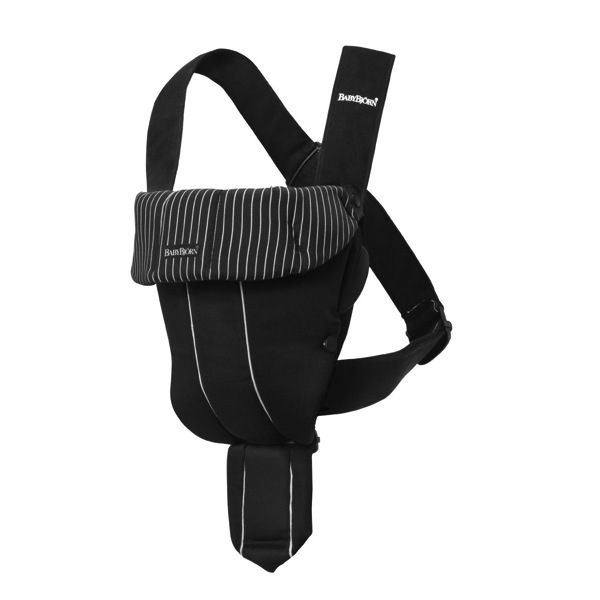 The BabyBjorn baby carrier has been an institution in itself as it is one of the most popular carriers. We ordered one for our baby and for starters it works great because it has neck support for newborns, whereas others such as the ErgoBaby did not. This can be folded down as baby gets older. The materials are good quality 100% cotton and non-toxic. Attaching the harness and baby is quite easy with easy click-in tabs and notches, and it’s even possible one-handed. The minimum weight requirements is 8 pounds for usage and 21 inches, to a max weight of 25 pounds. Our baby so far likes the BabyBjorn as it allows him to stay close to us while our hands get free to do other things, such as eating food (seriously) or laundry. The carrier is lightweight and designed well to support your baby in various situations.